This is a post about Fort Smith, NWT… our home town. Located at the 60th parallel on the border between the Northwest Territories and Alberta, Fort Smith is located at 60.0055° N, 111.8849° W. Not technically in the arctic, we actually live in Canada’s subarctic region. Early fur traders established a portage route from Fort Fitzgerald to Fort Smith to bypass the four sets of impassable rapids. This trail had been used by the Indigenous peoples of the area long before this. The Indigenous peoples of the area are Chipewyan and Cree peoples. The population of Fort Smith has remained quite steady at around 2500 people. Approximately 65% of the Fort Smith population are Indigenous peoples (approx. 36% First Nations, 23% Métis and 5% Inuit). The subarctic climate is marked by long, cold winters and warm, short summers. Winter temperatures are often below -30° C and summer temperatures are often above +30° C. The average annual snowfall is about 59 inches but once the snow starts to fall around Halloween it will usually stay until late April. Summers are usually quite dry with less than 10 inches of rainfall per year. Here are some useful maps to put in perspective where Fort Smith is. Click on the tabs to see different maps and click on the maps to open them in a separate tab. While the Slave River and its rapids are very dangerous, many locals take to the river every summer almost as soon as the ice is clear to make the most of the paddling season. The Fort Smith Paddling Club hosts its premier event on the first weekend of August called the Slave River Paddlefest. Paddlers and river enthusiasts from around the world descend on Fort Smith and the Slave River for one fun-filled weekend a year. If you are planning to visit, this might be a great weekend to come. Wood Buffalo National Park is Canada’s largest national park spanning about 45,000 square kilometres. It is the 5th largest national park in the world (#1 is Northeast Greenland National Park; #2 is Great Barrier Reef Marine Park, Australia; #3 is Great Limpopo Transfrontier Park, Mozambique; #4 is Namib Naukluft Park, Namibia). This UNESCO World Heritage Site is home to the world’s largest herd of wood bison and last remaining natural nesting site of the whooping crane. As well, black bears are easy to see while moose are a little more shy. 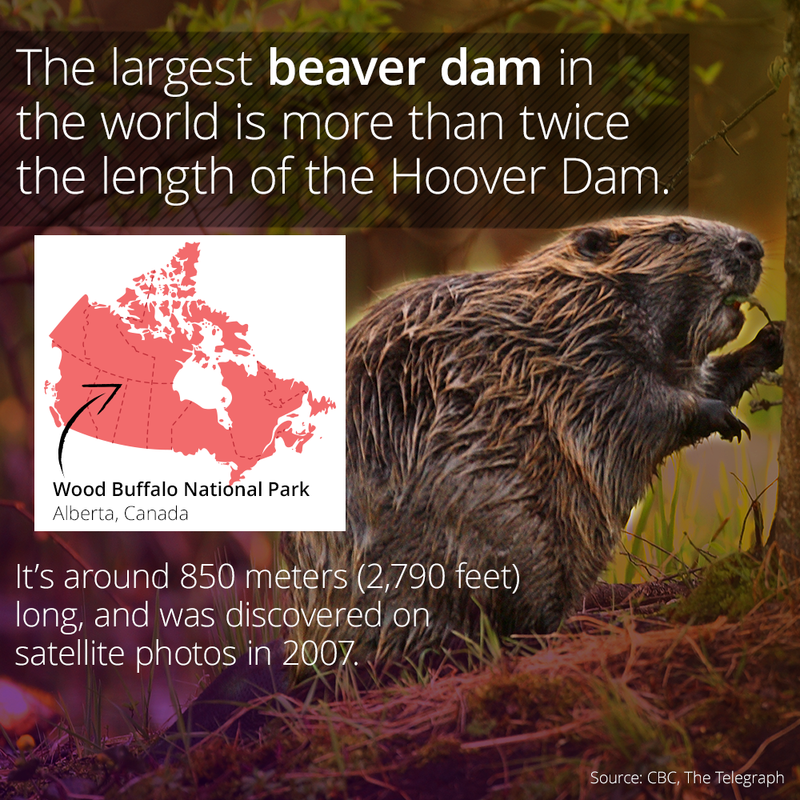 It is also home to the world’s largest beaver dam which can be seen from space. In 2013, the Royal Astronomical Society of Canada designated WBNP as the world’s largest dark sky preserve. The lack of artificial light makes WBNP the perfect place to observe stars, constellations, planets and the aurora borealis. Every August, the Thebacha and Wood Buffalo Astronomical Society (TAWBAS) hosts the Dark Sky Festival often with famous keynote speakers such as Roberta Bondar.